New vendors, tips & articles, competitions, your VIP Card, wedding updates & much more! 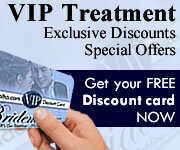 Type the one you check regularly and use most often so that you do not miss special offers! You can easily unsubscribe any time you want. Please avoid Yahoo or Hotmail addresses if possible. Facebook Google Yellow Pages I Do! To receive free SMS notification. Send to "Bridemalta.com, VIP Card, 170, Pater House, Level 1 (Suite A46) Psaila Street, Birkirkara BKR 9077" with a note asking for the VIP Card. 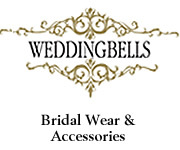 To ensure that your BrideMalta.com emails get to your inbox please add info@bridemalta.com to your email address book or safe list.